Metropolitan is a prestigious high-rise condominium building in the West End, close to both Georgetown and Dupont Circle. 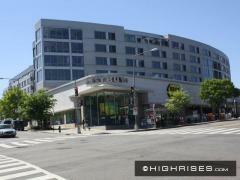 This building offers a fitness center and a hard to find roof-top indoor pool and deck. Have any comments or questions about Metropolitan Condos? Ask your question and/or share your thoughts about this Building. what are the pool dimensions?